Most of the surviving historical heritage buildings through the centuries of human history have been religious, ancient abbeys in mountains, cathedrals in towns, citadels, castles, palaces and of course quite a few aristocratic mansions of the ruling classes, against a background of poor cottages, modest buildings and derelict ruins of the oppressed class. 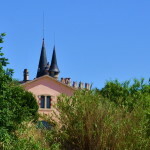 The Region of Southern France blessed by the sun with a mild Mediterranean climate will always be known as paradise, blessed with castles, luxurious palaces and villas of the rich. 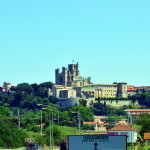 Today we are traveling along the coast between Spain and Toulon. 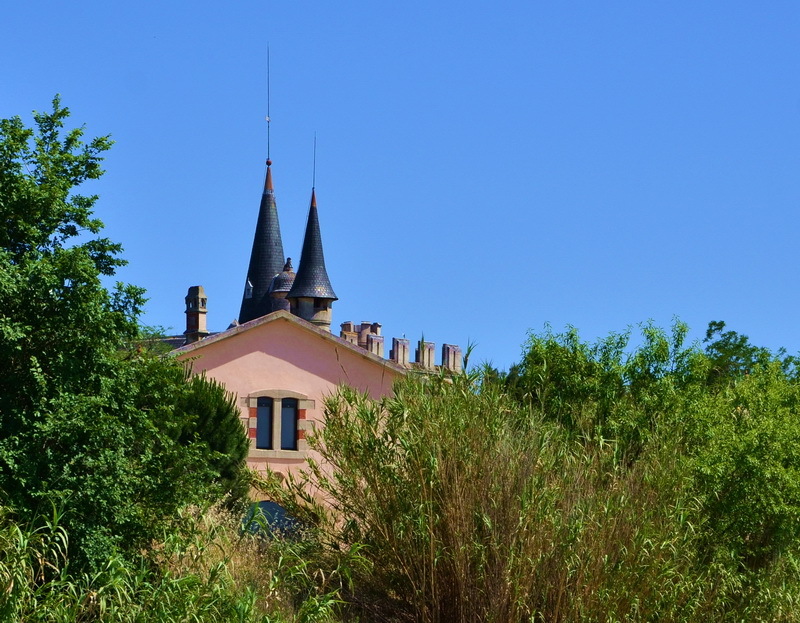 Traveling through the Languedoc-Roussillon region along the coast from Perpignan to Toulon, we made a lot of brief stops. 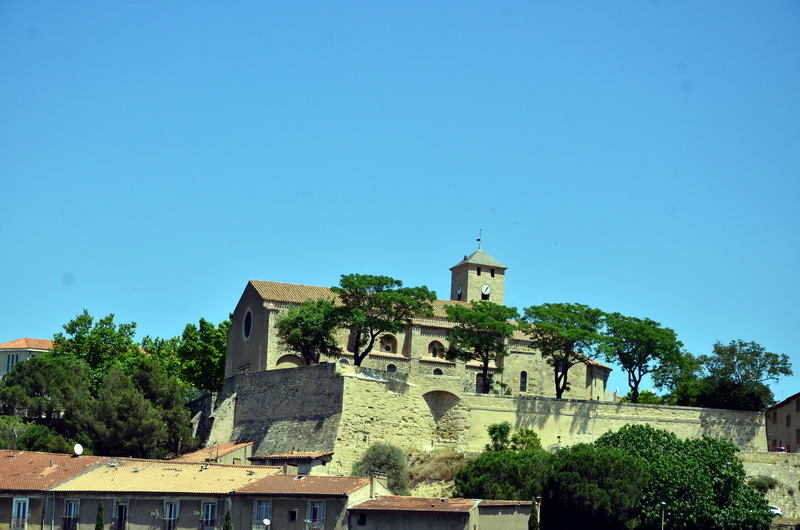 In its history Languedoc – Roussillon experienced many religious wars and was part of the path the Crusaders traveled through on the way to the Holy Land. 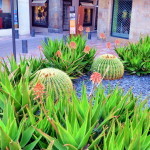 It has also been the pilgrim’s way to the holy Christian sites of Spain. 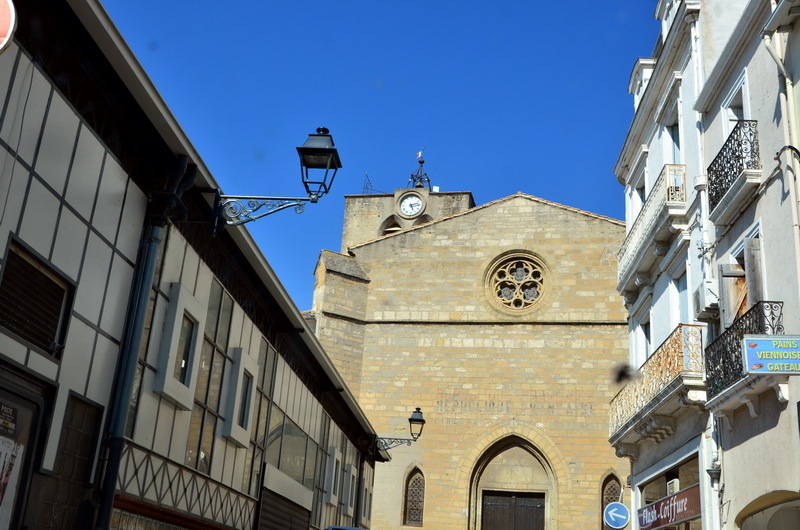 Many churches and religious shrines depict the historical heritage of the region and although Roussillon was Spanish land until 1659, it still retains a lot of the Catalan culture. 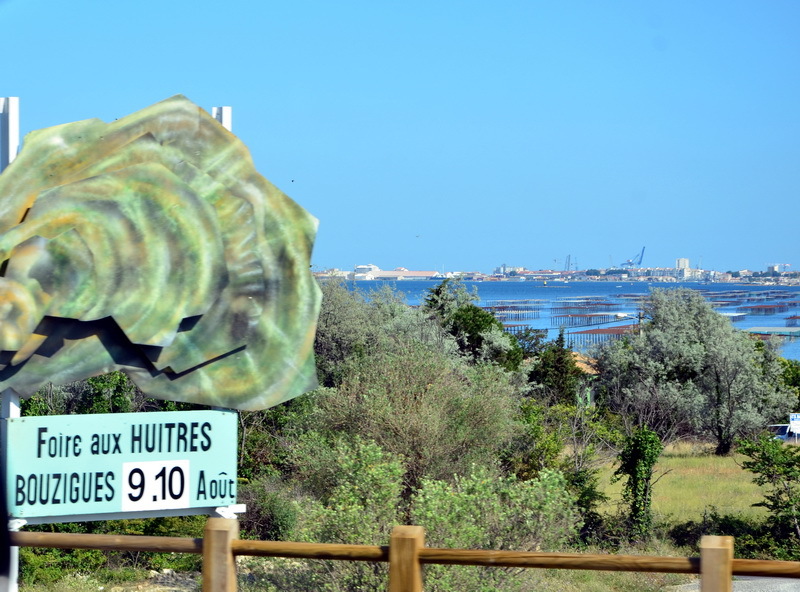 We took the A9 route along the coast, to the ancient city of Narbonne which was the first Roman colony in Gaul “as France was then known”. 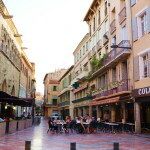 Next we visited Beziers, one of the oldest towns in France. 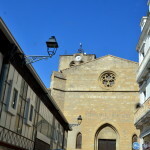 The tower of the Saint-Nazaire Cathedral, which dates from the 13th century, dominates the area from the highest hill and it is the symbol of the town. 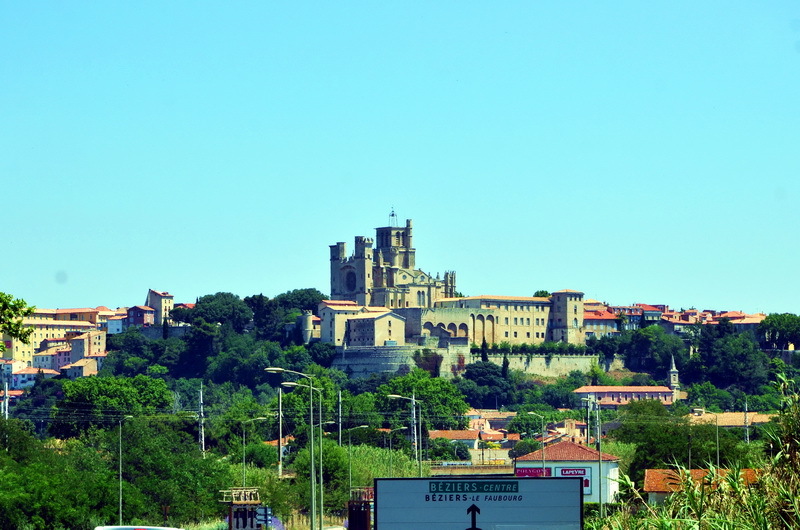 Beziers made the history book, when the Crusaders slaughtered the Catholic population of the town in 1209. That’s another confirmation that the human history is largely the outcome of religious wars. 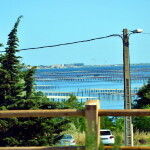 On the way to Montpellier, a region of mostly marshland and sea lagoons, we came across a few charming towns that have grown from small fishing villages. 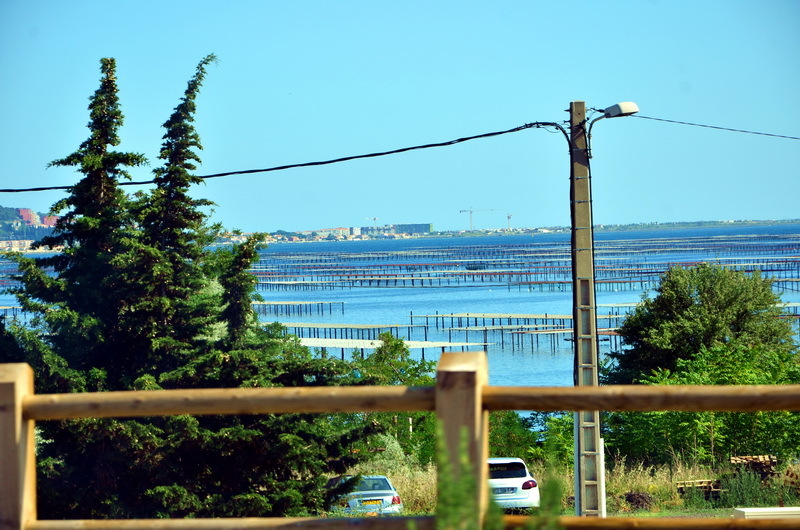 In the town of Sete there is an oyster farm along the shore and I believe many a gourmet has flocked there to enjoy this delectable seafood. 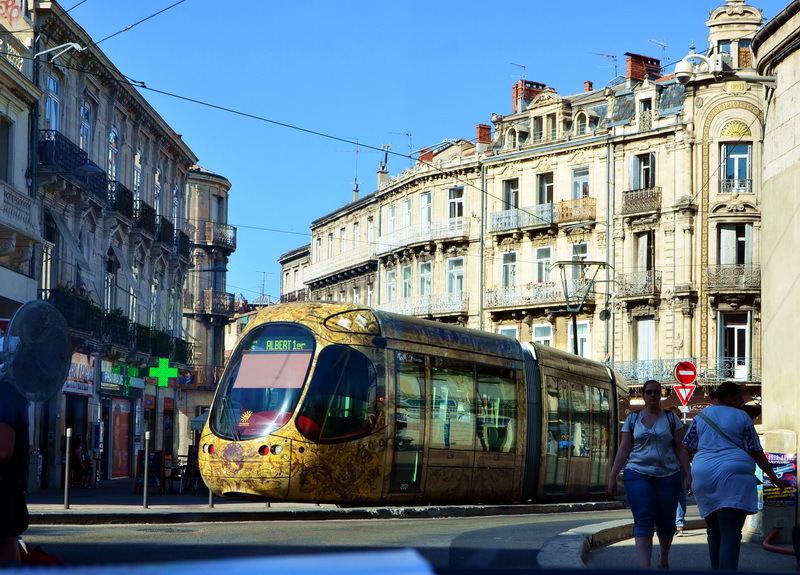 Montpellier, the capital of this region of France has a very young population and has long been considered a city of students, as a university was founded here in 1220AD. 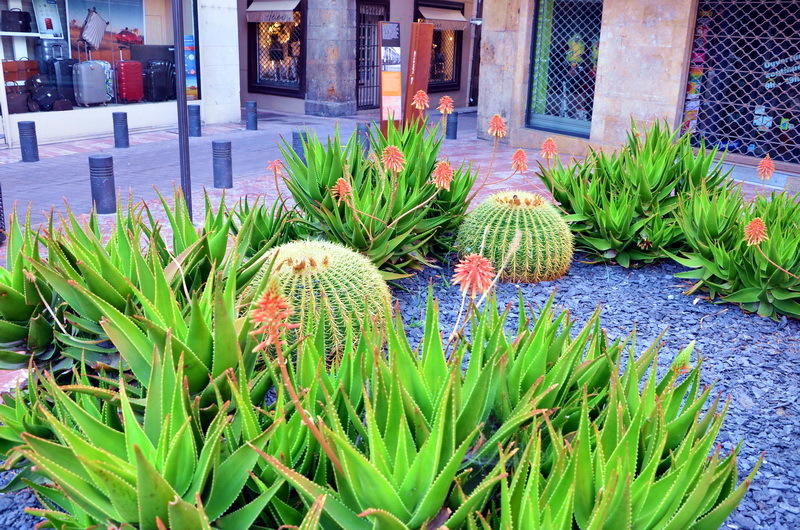 The first thing that catches your eye passing through this city is the many decorative and artistically designed balconies that adorn the many blocks of apartments, which is what distinguishes this city from many others. 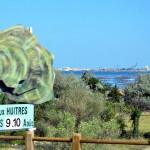 From Montpellier to Arles we drove along the D66 and D62, where many nature reserves exist along the coast, one of them, the Camargue, has pink flamingos, egrets and wild white horses among other creatures; the place attracts many tourists and lovers of wild life. 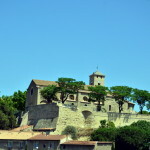 In the city of Arles, many of the ancient buildings have been preserved where the first settlements of the Ligurians appeared, these were the ancient tribes that inhabited southeastern Gaul around 800 BC. The city was also very important during Roman times, especially as three Roman emperors, Constantine I, l l, and III loved the place. Recently it was associated with the Impressionists, when Gauguin and Vincent van Gogh chose it as the best place for painting. The climate of these places has also been associated through history with longevity, so far the most famous person of all and the oldest that has ever lived on earth, Jeanne Calment, was born and died here in 1997 at the age of 122 years. I think these two facts entitle Arles to be known as a healthy place. 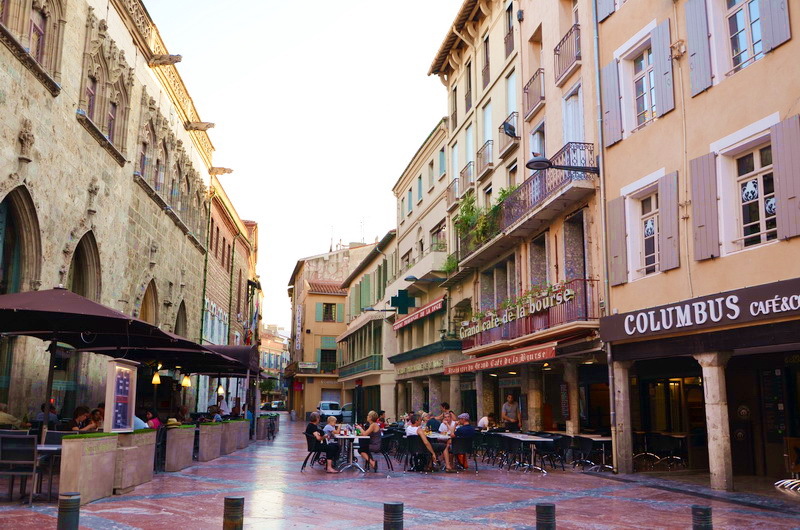 That afternoon, we reached the town of Salon-de-Provence in the early evening. In this town the astrologer Nostradamus spent the last twenty-five years of life and puzzled mankind for many centuries by his forecasts of future centuries, which are still unraveling today. We stopped for tea in a bar where the music was loud inside and most visitors sat at tables outside on the pavement, a beautiful atmosphere on a warm June evening. We passed through the town, admiring the streets with beautiful illuminated lights but once on the open road along deserted suburbs, we could hear the sound of crickets and we could smell the scent of the lime trees. 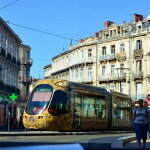 Marseille is a very large port city; somehow we lost our way and found ourselves on a road that we would rather have avoided. By mistake we wandered through a busy junction and ended up driving through some back streets of the city at about 2 am where most of the population consisted of Arab immigrants, which was very worrying. We passed lots of outdoor late night cafes and workshops, lucky for me that my partner spoke Arabic and we managed to get directions for the A50. Leaving Marseilles along the A50 we drove through the town of Aubagne, then turned off on to route DN8, one of the most beautiful roads we came across towards the city of Toulon. By the light of our car headlamps we could just about make out the beauty of the mountains and rocks in the background with the strong aroma of the pine trees wafting through the car windows. 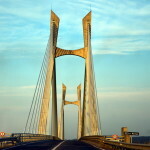 Finally we reached Toulon, where we spent the night, after traveling more than 800 km with a few stops along the way. Next time, I shall be writing about the Alps maritime and the Cote d’Azur. 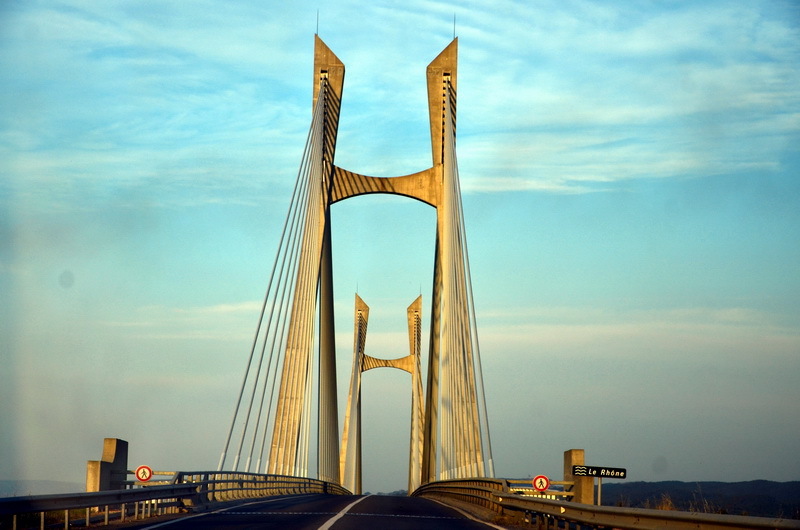 This entry was posted in History&Towns&Castles&Palaces&Museums, tourist guide and tagged Southern France. Bookmark the permalink.